We are big fans of using Google Maps. If you have a smartphone with data while you are traveling, it’s easy to figure out getting from Point A to Point B. 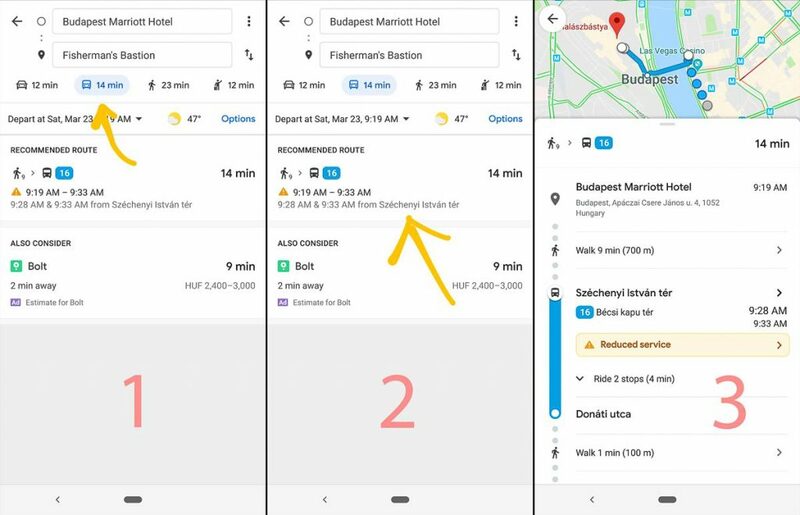 First, open Google Maps and input your destination, and click the “directions” button. 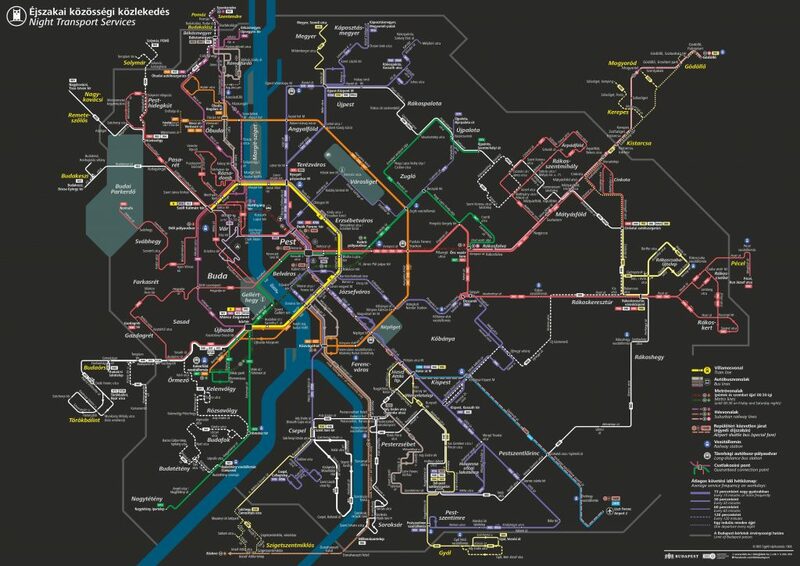 Next, tap the button that resembles a train, and see your options for getting around. Select the one that works for you, and you’ll be given step-by-step directions to get to your final stop. 1) Select the button that looks like a bus or train. 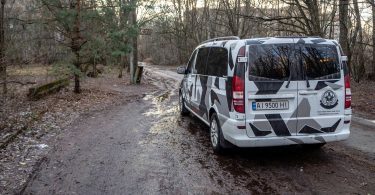 2) Select the route you’d prefer. 3) Follow the step-by-step directions. 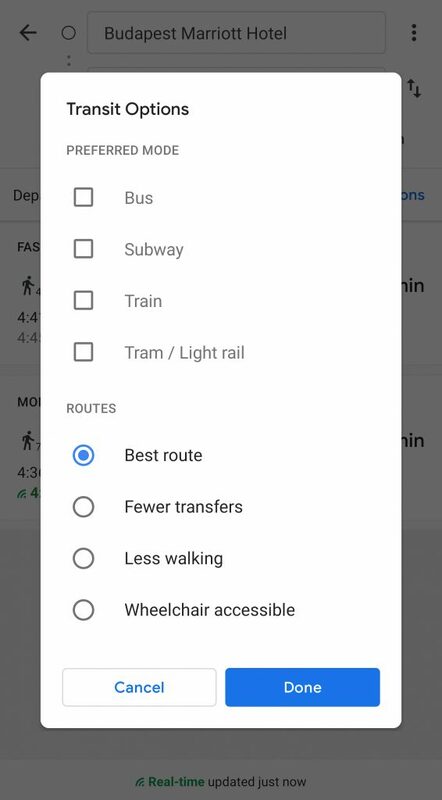 Using the Google Maps method, you also have the option of selecting a preferred method of travel (such as bus, tram, etc) and by the route with the least amount of transfers or less walking. We were also given a little booklet when we bought our Travelcards at the desk at the Budapest airport. 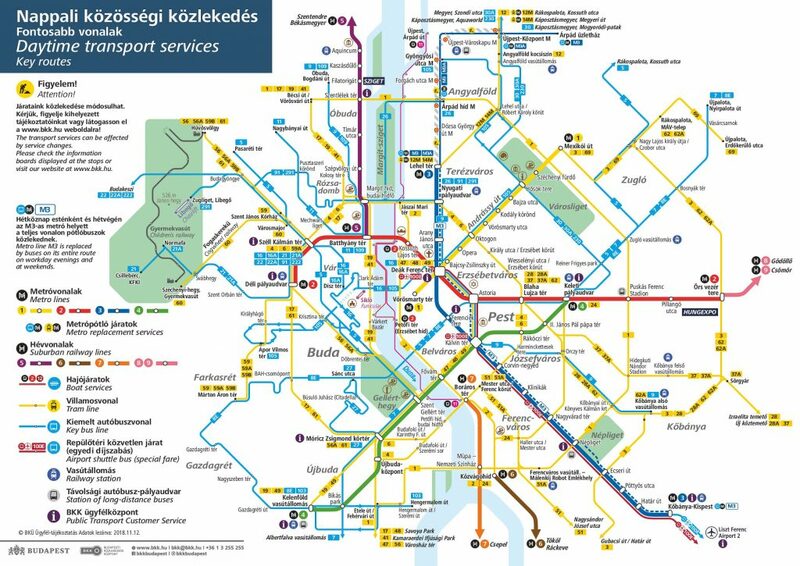 It details how to use the public transport system and has maps for both day and night routes. We ended up using this a lot! Sometimes it’s useful to have a paper copy you can quickly consult when you’re navigating the city. 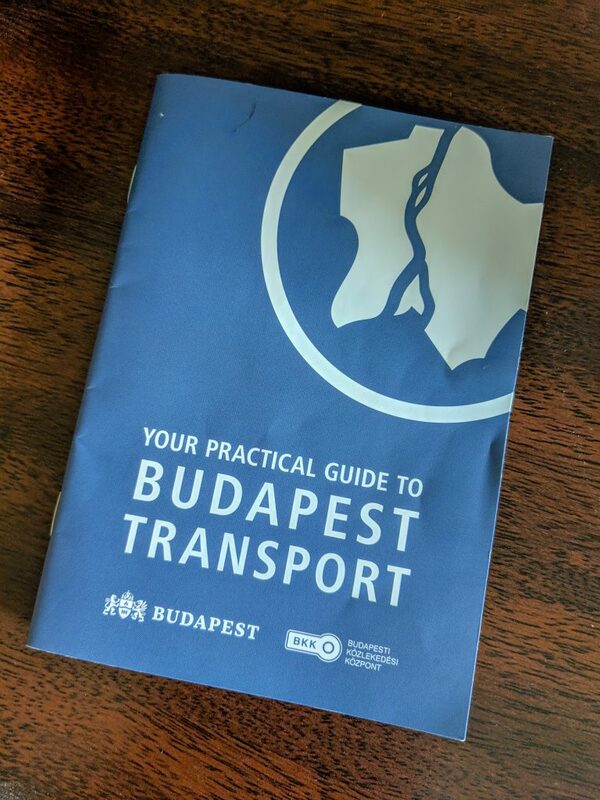 Our booklet was quite worn by the time we left Budapest! Inside this booklet, you’ll find a map showing the popular tourist routes during both day and night. We found these maps to be incredibly helpful! 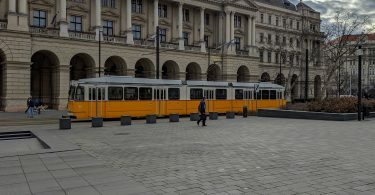 To return to our main page about Budapest Public Transportation, click here.